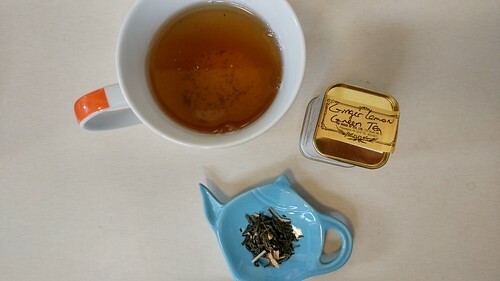 Overall, the teas from The House of Tea tend to be a bit subtler in flavor than my usual Adagio teas. This generally means I go through it a bit faster since they require a bit more intense of a leaf top-up for second and third steepings. 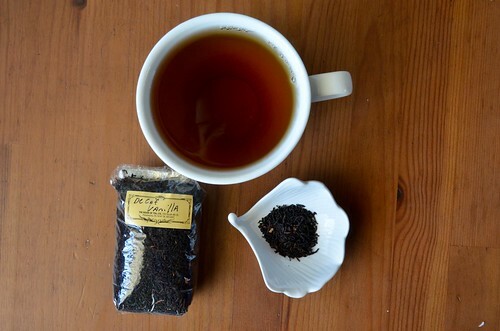 Decaf Vanilla Tea. I like this tea, and it's especially nice because it's decaf. So it's a black tea alternative for nighttime, when I'm not feeling the rooibos. Apple Tea. Also quite good, but could do with a bit more apple. 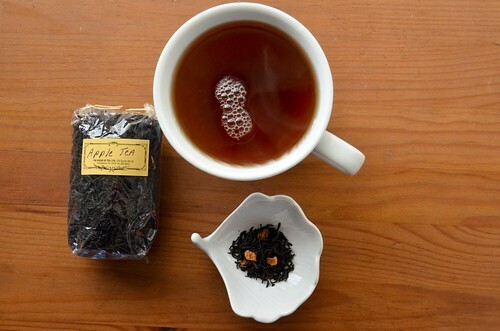 Fruity black teas are a nice thing to have around. 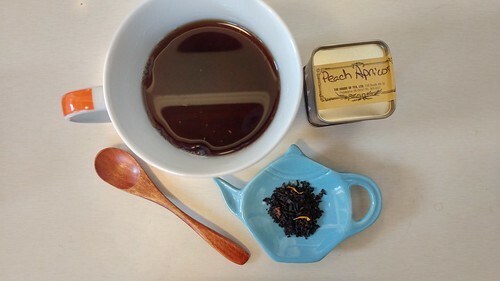 Peach Apricot Black Tea. Smells heavenly and is delightful with a bit of milk. Peaches 'n cream. I'm always fascinated by these more pebbly-looking teas. Must be a different drying technique? Ginger Lemon Green Tea. Hearkens to the German Green Power Tea of yore, but with less lemon/ginger and more green tea. Rose Mint. This one's a bit flakier than the others, and lots 'o wee leaf bits made their way into my tea. Otherwise, this one's heavy on the mint flavoring. 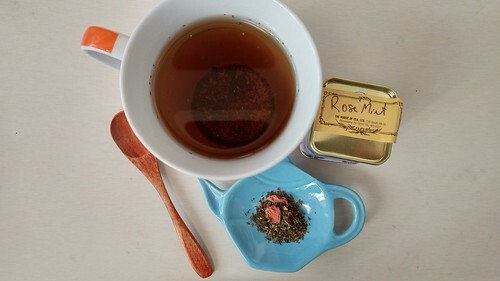 'Can always use more rose (Rose black tea being one of my must haves...that I currently do not have, ha! ).